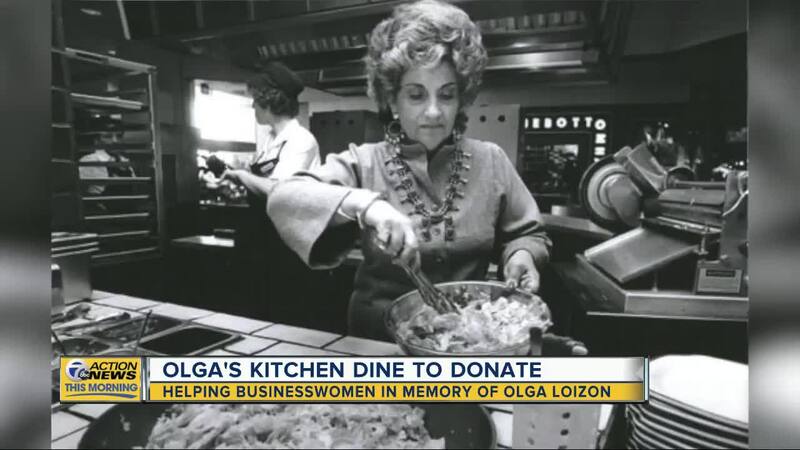 SOUTHFIELD, MICH (WXYZ) — On the heels of Olga’s Kitchen founder Olga Loizon passing away last week, Olga’s Kitchen is hosting a statewide Dine to Donate on Sunday, Jan. 27, to benefit the newly established Olga Loizon Memorial Foundation. Throughout the day, Olga’s Kitchen will donate 20% of guests’ food sales to the foundation. It was established to provide grants ranging from $5,000 and $10,000 to women entrepreneurs in pursuit of creating the state’s next iconic business. Olgasauce is a secret recipe, but you may substitute your favorite sauce such as tzatziki. Divide seasoned beef and lamb among 4 piece of Olga Bread and place down the center, it should be 3.5 oz each. Top the beef and lamb with the 4 slices of tomato on each. Next add 10-12 pieces on sliced onion on each Olga.